Updated (Feb. 6, 2016) to add the fix for the "Play with 3 toys" aspiration included in the Feb 4, 2016 game patch. This change should be compatible with any game patched to version 1.3.18.1010 (Dec 16, 2014) or later. Yet another small and simple mod to fix something that bugged me about the game. I had always just assumed that molding clay was building creativity for children and was rather surprised to find that it didn't. I couldn't think of any good reason why it shouldn't. I still can't think of a good reason it shouldn't. Dammit, it should! Adults can still mold clay, but it won't give them any skill gains as they don't really have an applicable skill. I suppose I could have made it increase their painting skill, but it's not really the same thing. Pity. 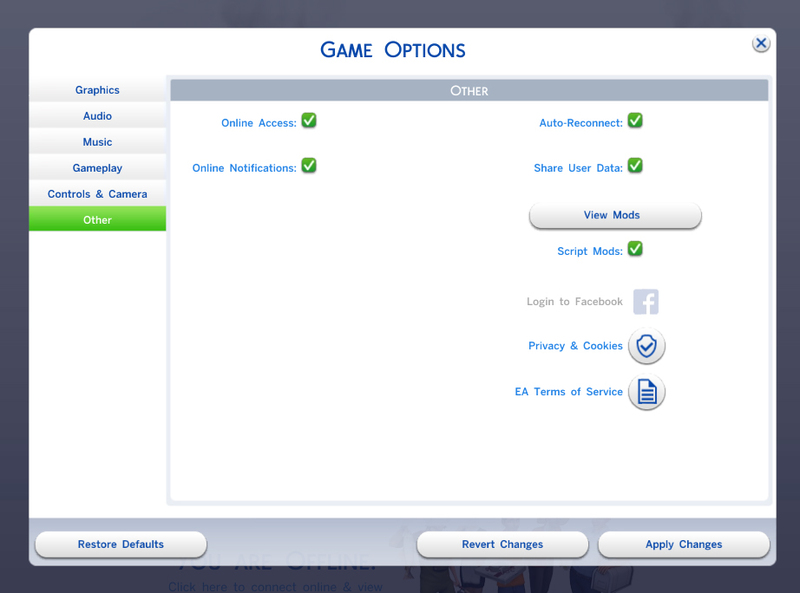 This mod requires The Sims 4 to be patched to at least version 1.3.18.1010 (December 16, 2014). 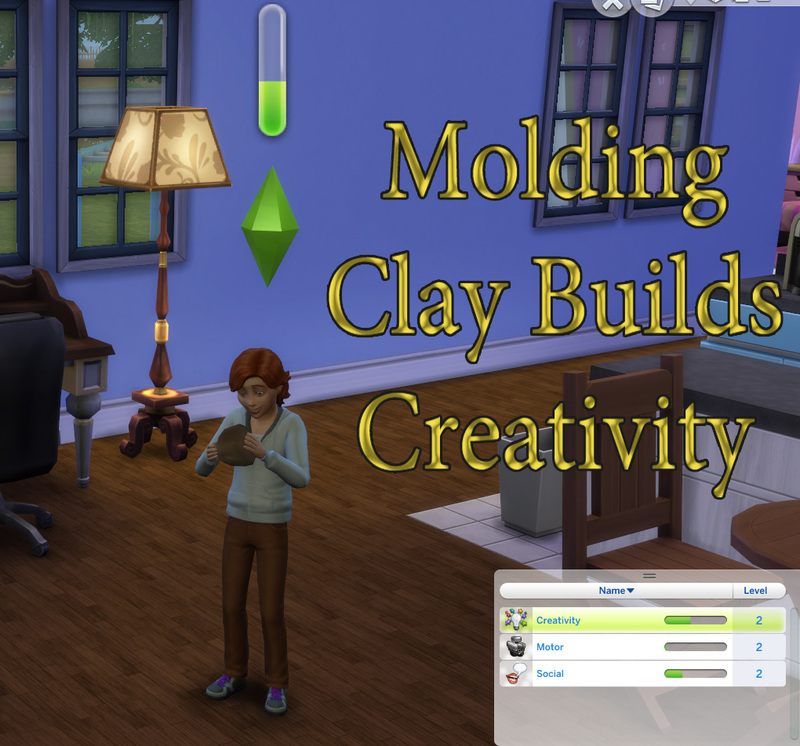 This mod may cause conflicts with other mods which change the clay modeling interaction. Due to the wide variety of mods and sources for them, it is unlikely I will be able to help you with such a conflict. This just modifies the S4_E882D22F_00000000_0000000000003367 (ClayBlob_Mold) XML resource to add a periodic dynamic skill gain for the child's creativity statistic. MoldingClayBuildsCreativity.zip | Description: Alters the mold clay activity to build creativity for children.